Car Accident Lawyer Kevin Cortright protects the rights of clients who have been injured in any type of motor vehicle collision. Truck accidents and car crashes occur all too frequently on California’s busy streets and freeways, and he is highly experienced at handling all of the details for clients. For over 15 years, Mr. Cortright has helped clients obtain the best medical care and the maximum compensation for injuries sustained in car and truck accidents. Contact our car accident law firm if you have been in an auto accident. Call (951) 677-8064 to discuss your situation during a free consultation. After a car accident, do you know what to do? If there’s any chance that you are injured, don’t do anything beyond calling for help and staying still until help arrives. If you’re certain you are not injured, first deal with people and any medical attention they may need, then deal with the vehicles: If you are able and the vehicle can safely be driven, move it out of traffic. If you can’t safely do those things wait for law enforcement, medical help, and tow trucks to arrive. After the immediate needs are taken care of, if you’re not injured, it’s time to take a deep breath and start protecting yourself and your rights. Contact our experienced truck accident lawyer and car accident attorney at Cortright Law. We will walk you through what to do after an auto accident. If you don’t have a smart phone, can’t find your phone after the accident, or don’t have a signal, here are some basics to keep in mind. If the vehicles are safely off the road, take photos; be sure to include the license plates of any other vehicles involved, and the other drivers. Exchange information with the other drivers. If the situation allows, dial any phone numbers they give you immediately, to be sure that they are good. If you’re injured and unable to do this, don’t worry because you will get a copy of the police report, which will include the information of the other drivers. In any case, don’t discuss with anyone at the scene who was at fault. Even when you speak to law enforcement, don’t volunteer any opinions about fault; just tell them all the facts as you remember them and don’t offer any conclusions of your own. As soon as possible, notify your insurance company and contact the Law Offices of Kevin Cortright for a free consultation. 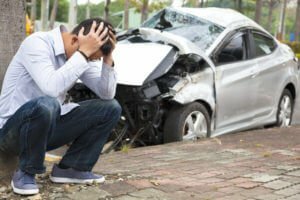 The sooner you discuss the accident with a car accident lawyer who specializes in defending traffic accident victims, the sooner you will be armed with the information you’ll need to protect yourself. When we take your case, you’ll have protection and expert guidance to help you through the confusing and frustrating process of making a personal injury claim and winning a fair settlement for all of your losses. You may be eligible for compensation for your actual expenses which may include medical care, car rental fees, vehicle repair or replacement costs, and lost work time. If your injuries cause long-term damage and prevent you from working again or make it impossible to earn as much as you were earning before the accident, you may also be entitled to compensation for the loss of your future earnings, and for future medical expenses. Attorney Kevin Cortright and his team will represent you and protect your interests, so you’re not bullied into accepting an unfairly low settlement from an insurance company looking to protect its profits. We’re here to support and protect you all the way through this difficult time. Contact Cortright Law for a free consultation today.